I recently spent some time at Allen Sides’ Ocean Way Recording in Hollywood. During Allen’s enlightening tour of those hallowed Putnam-designed rooms and echo chambers (Ocean Way was of course previously United Recording, created by M.T. “Bill” Putnam), I noticed the extremely rare EMT 250 reverb units in three of the four studios. 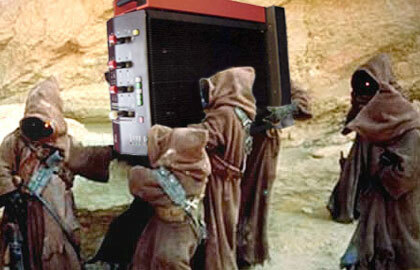 The EMT 250’s industrial design is unmistakable; it could easily pass for scrap equipment sold by the Jawas in Star Wars. After commenting to Sides about the relative abundance of 250s in his control rooms, he told me he considers the EMT 250 to be one of the finest-sounding reverbs ever made. This is no mean feat for a product created in 1976, especially considering the EMT 250 was actually the first digital reverb ever made. Some might consider an EMT 250 a third-string choice for someone like Sides, who has Putnam echo chambers and EMT 140 plate reverbs at his disposal, but the EMT 250 has a sound all its own and is actually his first choice for a myriad of applications. (Sides confessed to owning eight of them at one point!) While I was there, Studio A was unoccupied, and I got a chance to listen to the unit. This made me want to learn a little more. Although digital audio technology had been used since the early &apos;70s for things like simple delay lines, the professional audio world was still heavily entrenched in all things analog when German company EMT offered the first digital reverberation system. After that, things began to change very quickly, particularly in the market of artificial reverberation. Lexicon, AMS, and others soon followed with their own offerings. The EMT 250 was introduced by EMT Technical Director Karl Otto Bäder in 1976 at the Zürich AES Convention. Designed to be an alternative to the EMT 140 plate reverb systems that were enormous by comparison and required strict isolation to avoid sympathetic resonances, the EMT 250 offered a new sound in a relatively compact, easy-to-use package. The digital hardware portion of the EMT 250 project was farmed out to Ralph Zaorski through a Massachusetts electronics company by the name of Dynatron. MIT professor Barry Blesser was hired to perform the algorithm design. Karl-Otto Bäder was then instrumental in moving the project from the research phase into the product phase, and also performed the listening and voicing for the EMT 250. EMT built the converters, analog sections, and power supply for the unit. They also provided the clearly German industrial design, with its semi-portable rolling chassis, illuminated pushbuttons, and sci-fi control levers. But of course the magic was in the algorithms themselves, and Dr. Blesser’s passion for acoustics and previous experience with digital audio technology made him the ideal candidate to tackle the daunting task of creating a convincing set of ambient cues via a digital circuit. On my first listen to the reverb unmixed with the source, it sounded unmistakably digital, a touch noisy, and even a little aliased and “lumpy,” especially at long decay times. But there was some indefinable magic to it. I then heard the source mixed back in, and the sound suddenly jumped to life. After much listening, my perception was that the 250 naturally blended with the many sources we tried even better than the plate reverb. It had an amazing short decay response, better than any other reverb I can recall. I was hooked! Now if only there was a unit for sale somewhere and $10,000 in my bank account. As with so many audio tools considered classics, the perfection was seemingly in the imperfections with the EMT 250.
imperfections with the EMT 250. The EMT 250 is obviously most famous as a reverb, but in reality is more than that. It is the first multi-effects unit. I was able to spend some time listening to the other programs and was particularly impressed by the complex Chorus program and the Phaser, which interestingly has no LFO and must be “phased” by hand with the unit’s white lever. I could definitely imagine using it on a song break or intro. Finally, I got my hands on the controls and—I must confess—the tactile experience was nearly as pleasing as the sound. The click-stop levers with visual reinforcement via the LED ladders combined with the Set button was satisfying and more importantly, intuitive. When using the Reverb program, the red left-side LED ladders indicate the user is controlling Decay and LF/HF filtering, while Predelay uses a green LED ladder. When another program is selected such as Delay, all LED ladders shift to green and indicate delay time and output routing. You get the idea. Since Chorus provides a different result from each output, combining different physical outputs from the unit can create different sounds. This added another layer of complication to the setup because it was best served when each output had its own fader on the desk. The result was worth it though, as the sound was very pleasing, especially on acoustic guitar and electric bass. 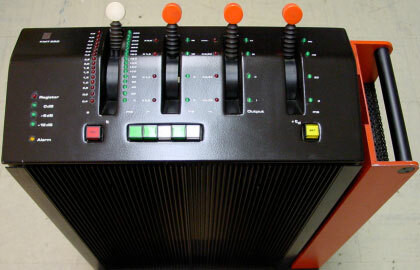 Similarly, the Reverb and Phaser gave variations on sound when auditioning the additional outputs of the EMT 250. I actually preferred the “rear” outputs from the Phaser versus the “front” outputs. The EMT 250 carried a $20,000 price at its debut in 1976, and only an estimated 250 units were ever built. If you happen to stumble on one at a yard sale, I highly recommend sending your unit to Studio Electronics in Burbank, California for a full service. Mr. Kulka is the only man in the hemisphere who truly specializes in these magic boxes, and he even carries a stockpile of parts. While they no longer make hardware reverb products, EMT still in business and is selling recreations of a few of their most famous hi-fi phono cartridges and tone arms, along with other professional audio, broadcast, and television products. Special thanks to Allen Sides and Ernie Woody for their hospitality at Ocean Way, David Kulka of Studio Electronics for letting me pillage some of his comments from Gearslutz, Hillel from the Mix Foundation for quotes and information from his EMT 250 TEC Hall of Fame page, Jules Limon of EMT Studiotechnik GmbH for additional information about EMT, and Support Report’ own Dan Becker for the cool-as-hell Photoshop work! Here, Grammy-winning engineer Eric J details how he crafts panoramic mixes and carves out space in the dense, bass-heavy productions of Flume and Chet Faker. We asked three noted producers/engineers/musicians how they exploit the 4-710d and as you’ll see, they present a picture of a flexible, easy-to-use, dynamic preamp/compressor that makes getting great drum sounds both simple and rewarding. Four heavyweight mixers — RAC, Eric “ET” Thorngren, Kevin Killen, and Tucker Martine — reveal how they craft their reverb textures and how you can avoid making common reverb mistakes.